District 4 residents in Ocean View have overwhelmingly opted for new representation on the town council. 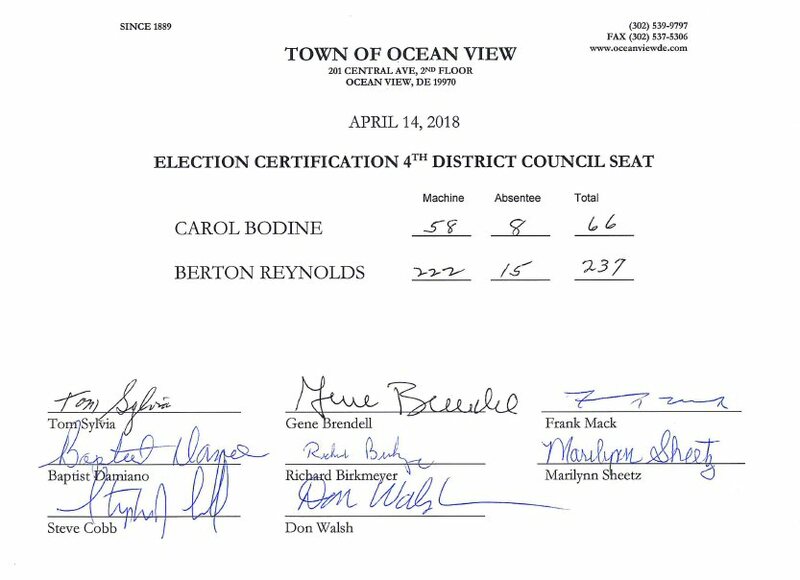 Berton Reynolds took 237 votes to 66 for incumbent Carol Bodine in Saturday’s election. The town council will hold its reorganization meeting on Tuesday, April 24 at 6pm.